The PSP-CCD is a 2-megapixel CCD camera. The camera is small and lightweight at 210g allowing for an array of cameras to be mounted in a tight place for larger scale models and applications. Communication with the PSP-CCD is via Gigabit Ethernet. The camera comes in two styles, one with a color array and one with a monochrome array. 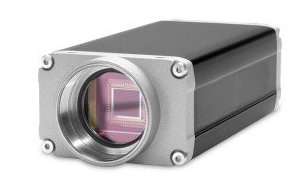 The color camera is used in Binary PSP and particle shadow velocimetry applications whereas the monochrome version is used in monochrome PSP or S3F applications. Binary pressure sensitive paint data is acquired using a CCD color array (PSP-CCD-C). Rather than use optical filters in front of the camera lens, the filtering is applied on the chip using a Bayer filter. The Bayer filter separates the two spectrally different signals from the Binary pressure sensitive paint. The PSP-CCD features an easy-to-use interface (ProAcquire) for both the color and monochrome platforms. This interface, known as ProAcquire, integrates all of the necessary controls into a streamlined interface. ProAcquire also features what is known as "multi-camera" mode. This optional add-on to ProAccuire is used to control mutliple cameras over the local network via a single user interface. For applications where the acquisition from multiple cameras needs to be seamlessly synchronized, the multi-camera software add-on is a must. This interface also ties together multi-system control of pulse delay generators (PSG-3) and lens controllers (LC-1 or LC-2) on the network. A single operator can control the entire data acquisition system from one screen. For a formal quote, please complete and submit this form. 2019 © Innovative Scientific Solutions, Inc.